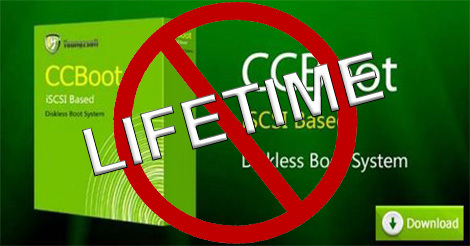 CCBoot Offers lifetime license for Asia customers, but not anymore. As of July 1, CCBoot changes from LIFETIME to monthly or annual billing. Means old license that have lifetime license is still usable but new customer of CCBoot will get the new pricing. Maybe if this company want to extend and protect their customer, its a good choice to remove the lifetime license. Income in monthly or annual fee can support their company thus creating support to the customer. CCBoot here in Philippines is widely use in Internet Gaming Cafe. For their features like "FIX 1 PC, FIX all PC" and for online games like dota 2 Updates, "Patch 1 PC, Patch all". No more traditional set up that needed to waste time patching all the PC. This easy feature will get more customer for your cafe. CCBoot is a diskless boot system which will restore a clean system after each reboot, keeping your computer clear of viruses and trojans. Update all your PC’s with a single click. CCBoot saves you disk space in a very easy and convenient way. CCBoot allows a diskless boot of either Windows XP, Windows 2003, Windows Vista, Windows 7, or Windows 2008 from an iSCSI target machine remotely located over a standard IP network. It’s also known as network boot or lan boot. Diskless boot makes it possible for computers to be operated without a local disk. The diskless computer is connected to a hard drive over a network and boots up an operating system from a remotely located machine. CCBoot is the convergence of the rapidly emerging iSCSI protocol with PXE diskless boot technology. Thus it’s also called PXE boot. Lazada: Intel 2-in-1 Promo! Get P2000 OFF!